As the woman behind one of Australia’s biggest activewear brands it seems only fitting that Lorna Jane Clarkson’s love affair with fitness apparel first began when she was an aerobics instructor in the 80s. Unable to find fashionable clothes to wear to her classes she decided to design and create her own and found herself inundated with orders for her designs from other women in the gym. The rest, as they say, is history. 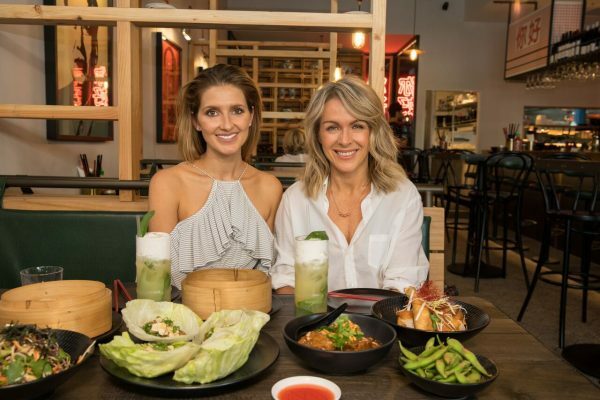 Today she is a fashion designer, entrepreneur and author and there are now more than 200 Lorna Jane stores across Australia and the United States, as well as stockists in Europe, the UK, Africa, Asia and the Middle East. 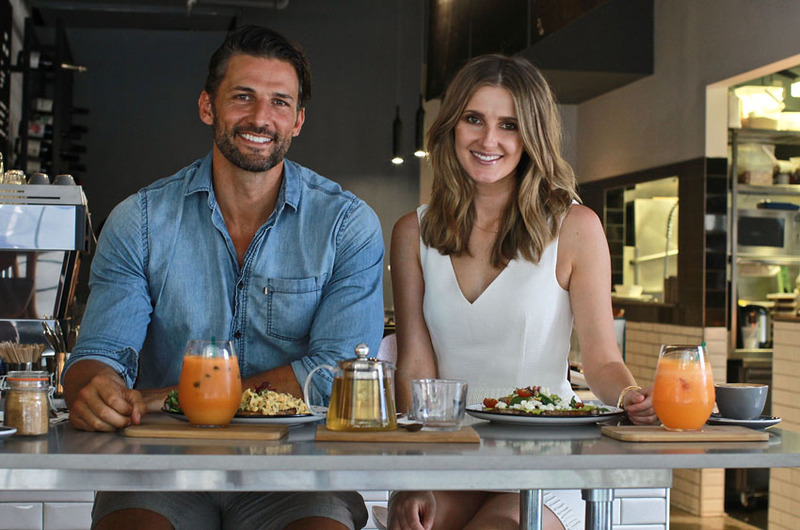 Lorna’s first cookbook, NOURISH – The Fit Woman’s Cookbook was released in 2014 and Lorna’s first ever coffee table book INSPIRED was released in 2015. The fifty-two-year-old businesswoman spoke to me about the inspiration behind her brand, who she looks up to and the most difficult part of being in the public eye. I wake up around 5am, squeeze in a workout, have breakfast, catch up on my international emails from overnight and then head into the office by eight. No two days in the office are ever the same (which I love) and on any given day I could be writing, designing, on a campaign shoot or in marketing, strategy or creative meetings. I always try and leave by six and go for a walk with my husband and our dog Roger to catch up on each other’s day before dinner. I love to finish the day with some yoga or meditation, then I go to sleep, wake up and do it all over again! What does healthy and fit mean to you? Being healthy is essentially taking care of yourself so that you can think, feel and be at your best every day. Our health is the one thing we can ALL invest in, and I honestly believe it’s the ultimate investment you will ever make. Without your health, you have nothing, which is why I’m so passionate about empowering women to embrace my Active Living Philosophy and daily practice of Move Nourish Believe – for the simple reason that it makes being fit and healthy really easy. What is your favourite piece in the current collection? At the moment I’m obsessed with The Gothic Rose bra and tights! What do you think was the key to being able to successfully expand your empire? Authenticity. Since day one, I’ve always done things my own way and I’ve never tried to emulate anything another brand is doing. I think our authenticity is why we have such an incredible and loyal customer base, which is what has allowed us to be able to expand internationally. How did you get into the health and fitness space? My mother has always been a great role model for health, so it’s been important to me for as long as I can remember. I got really into the aerobics craze when it launched in the 80s and ended up doing my instructor training and teaching aerobics classes after work. At that time I couldn’t find any gym clothes that inspired me to want to workout—so I started making my own. When I started wearing them to the gym, the women in my classes really loved them, so I started taking orders and before I knew it I was completely swamped (and my lounge room was an absolute mess). I found a real niche and loved what I was doing, so I decided to quit my day job and start designing activewear full-time. And I can honestly say it was the scariest but absolutely BEST decision I’ve ever made! What were the biggest challenges you faced when you started the company? The very first one was getting people to believe in my vision, that comes down to self belief as well. I think you need to need to come from a very powerful place with your vision because for me to say that I want active wear that inspires women and changes the way they think about their workouts, people are thinking “yeah yeah”. I could see women wearing their activewear beyond their workouts and people thought I was crazy to open a store that just sells womens activewear. But a lot of hard work and I proved them wrong! Inspiring women to live their lives at 100 per cent. I admire so many people for so many different reasons. I admire strong women like Oprah, Michelle Obama and Diane von Furstenberg. My mum for being such an inspiring role model for me when I was growing up. And of course my husband Bill for being such a visionary and fearless leader! What is the most rewarding part of having such a successful brand? Hand over heart, the most rewarding part of my job is when our customers tell me how Lorna Jane has helped them overcome an obstacle in their life. Our ‘Inspo Tanks’ have become a big part of our brand DNA and I’m humbled every time a customer tells me wearing one has helped them push through an obstacle in their life. I’ve heard stories from fitness instructors wearing them to help motivate their members in class right through to women wearing them whilst fighting for their lives in hospital. Hearing stories like those are the reason I do what I do and it makes the more challenging and stressful times so worth it. Did you have any struggles and setbacks in creating the Lorna Jane brand? Of course! I can’t even count the number of times—but it’s all part of the journey and to be completely honest I wouldn’t change a thing, because it’s the setbacks and obstacle that teach you lessons, make you stronger and help you to appreciate what you already have so much more. When people are quick to make a judgment or assumption about you based on something they’ve read or heard. My customers, my team and my amazing family. How important is it for you to be a role model and embody the Active Living Philosophy and daily practice of Move Nourish Believe? The reason I put my name on the door 28 years ago, was to make sure that I stayed 100 per cent authentic to who I was as a person. Lorna Jane the brand really is just an extension of Lorna Jane the person and Active Living is my personal philosophy that’s achieved through the daily practice of Move Nourish Believe—plus it’s the very thing I credit for getting me to where I am today. My husband Bill. While he’s the CEO of Lorna Jane, he’s first and foremost my husband and I know I can turn to him for anything. Your husband Bill also works actively in the business. Is it hard to switch off as a couple? We always make sure we schedule some quality family time together every day, even if it’s just a 20-minute walk together before we have dinner so we can really connect as husband and wife. I think when you run a business it can be so easy to get carried away and think “I’ll just send one more email” or “I’ll talk to him about it when I get home”, so actively scheduling ‘no more business’ time is the way we switch off. Why do you think the activewear industry has seen such growth over the past few years? Two things—I think that people are finally starting to realise the importance of good health and that wearing activewear is so much more comfortable and conducive with how we live our lives today. Activewear has become an important part of the modern woman’s wardrobe and I think more and more brands have realised this in the last few years, which is why the activewear industry has absolutely boomed. Where do you see the Lorna Jane brand in five years? Do you get to relax? Of course. There’s no way you can be in business for 28 years and stay at the top of your game if you don’t take the time to rest and relax. We love to go to the beach and Byron Bay is a popular spot for us to escape for the weekend. But I also make sure I schedule a little bit of down time every day, even if it’s just half an hour of yoga or reading before I go to bed. Tim Robards rose to fame as the Bachelor in the first season of The Bachelor Australia in 2013. Recently the chiropractor and fitness trainer has been on magazine covers in Australia and the US. 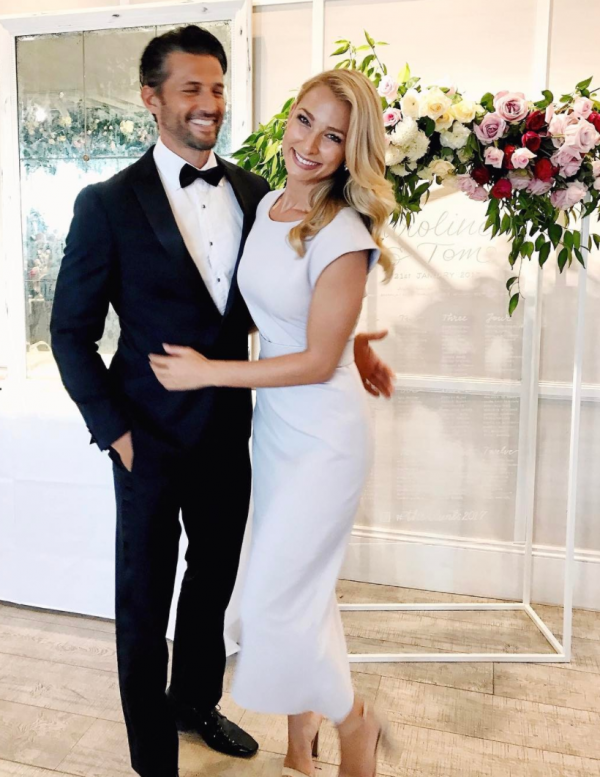 Robards, 34, tells me about the key to getting fit, his advice to the next Bachelor, and when he thinks he will pop the question to his girlfriend, Anna Heinrich. Did you always want to be a sports chiropractor? Were you a sporty kid at school? I was always pretty academic – I was into maths and did physics and all that, the sciencey sort of stuff, the nerdy stuff … I was kind of small, so I started hitting the gym in year 7, when I was 13. I was training every day, growing some size and strength. Most kids at that age, none of them had gone to a gym, so when I went to play footy I was actually pretty good because I just had that strength and, I guess, the determination and discipline. Tell me about The Robards Method. It took about nine months to get the app where we wanted to get it, but it is pretty unique in that it uses the minimal amount of equipment to get the maximum amount of result … I wanted something to get more people outside – something that gets fresh air, a good place to de-stress. We incorporated the use of Olympic rings … There is a level for everyone. How has The Bachelor changed your life? That experience has proven one of the scariest things I’ve ever done. Every day I was pushing myself out of my comfort zone and it makes you grow as a person … It was great to have an audience … and people that love following your story. Did you actually think you would meet the love of your life when you first went into the show? What would be your advice to someone going into the show? I think if you’re going in as the Bachelor or Bachelorette, you’ve got to be really, really clear on what you want. If you really want another relationship, it’s going to show, but if you’re just getting there to get a boost of your profile, it comes through. The camera doesn’t lie. So the big question is: is there is a proposal on the horizon? I think the key to us being successful in our relationship is keeping it real, and that is also part of what I would suggest to someone: even though you’re on a show, don’t get swept up on a TV show, like in a fairyland … We haven’t rushed things because obviously everyone wants to see that, they either want to see the relationship continues and flourish or fail. So I want to do things when I’m ready. Do you ever feel the pressure to pop the question? No, I wouldn’t want to do it because I feel the pressure. I would do it when I feel just completely excited and ready and everything kind of falls into place. At the moment, we’ve got a wedding every second weekend. So when do you get time around other people’s weddings? We’ve got to wait till the wedding season cools down, so that it can be kind of special. Otherwise, literally, the next day you have to go and be celebrating someone else’s wedding that day. What’s the funniest headline you’ve ever read about you guys? Definitely there has been a couple about a baby surprise! And once there was a photograph of me leaving work with my lunch box and they are like, “Yeah, it’s official, Tim and Anna have broken up and he’s moving out”. Just start with a simple little habit change; it’s all about habits. So if you can just start with changing one thing in your diet and just add one little bit of exercise – maybe a walk, and maybe once a week but then soon it will probably turn into twice a week or three times a week and then turn into a jog. So, I think, set your goals, but start with small steps. What do you indulge on? Probably Jude’s food [Jude is Anna’s mother] … Usually once a week or once a fortnight [we] have a three-course meal, some big sugary desert, and I just go like, “All right, I’ve been pretty good during the week” and I just let loose. I love little adventures, I love to get out of Sydney or at least to new parts of Sydney sometimes. So we might pack up to mum and dad’s up in Newcastle; to Toronto, which is always nice; or just heading up towards Palm Beach. Sometimes it is nice if we’ve got something in Sydney … go to Kings Cross, go to boxing class together, go back, go to the beach on a quiet little spot. 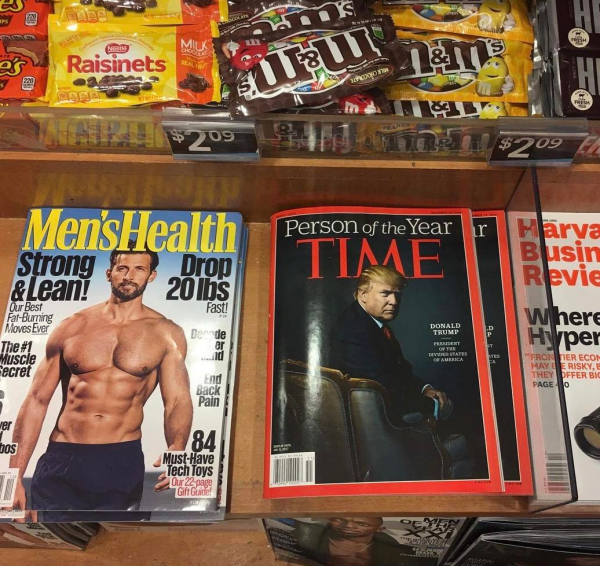 Congratulations on your US Men’s Health covers. How did that come about? Basically now I’ve had three covers in Australia, two of them got picked up by the US last year … So right now, I think I’ve got like 30 covers or something around the world. What about your partnership with ALDI? It’s kind of in line with my values – fitness should be accessible to everyone … and that is where these guys help make fitness apparel to make it accessible to as many people as possible … So I am working with them for at least a year. I would probably like to see to kids on the way, I would like to have a family – obviously with Anna. From a work point of view, [with] the Robards Method, I’d love to build that community and make that international community and sort of keep influencing and changing people’s ideas on health and healthcare. Tim wears The Academy brand shirt, Venroy shorts. Fashion designer Jodhi Meares has just launched the first stand-alone store for her successful activewear brand, THE UPSIDE, in Mosman. Her designs are stocked around the world and have been spotted on fashion and sports icons including Kelly Slater, Kim Kardashian and Rosie Huntington-Whiteley. 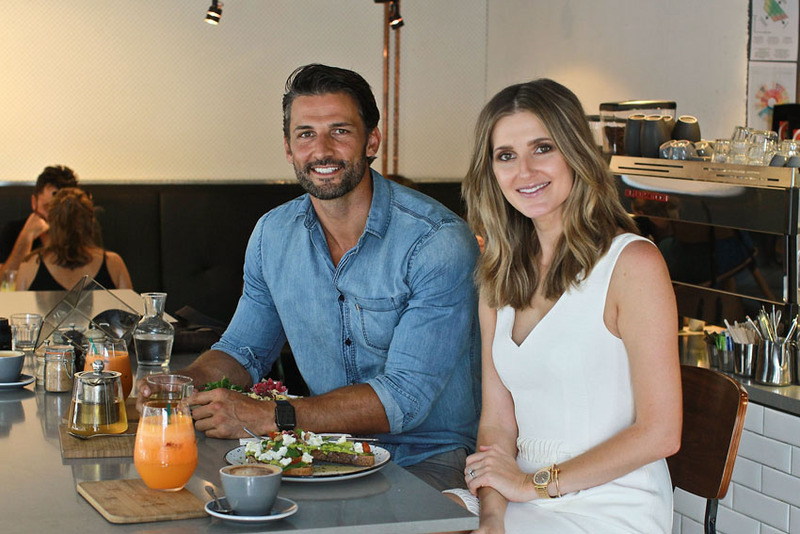 Meares, 45, chatted to me about developing an activewear empire, finding love with her 29-year-old husband, Nicholas Tsindos, and her secret to being a better wife. Gosh, it changes so much. I’m still travelling a lot, I don’t have like a really regular day … [THE UPSIDE] needs a huge amount of attention as it’s still a young company … I read a lot of philosophy and I find that that’s inspiring, for my work. …We really look at THE UPSIDE [as] the Heroine and now we’ve launched men’s, he is the Hero. So, we look at so many aspects of the brand and we talk about it, politically, what she or he stands for, what they might be reading at the moment, what films they’re watching. What has been the biggest milestone for THE UPSIDE? I think, days like today when you see it on somebody. To me that’s where I get the most joy, watching it come to life and see somebody enjoying wearing it and playing with the kids on the beach in it. Why did you decide on Mosman for your first bricks-and-mortar store? I like to shop on streets, so we were just looking for really good areas that we could do good retail. Mosman was on our list and this shop came up and it was perfect … I’m excited and I know the area because I went to school over here and we think it’s right on point for the brand. As a designer, where do you get your inspiration? I look at so many things … When I started developing the [Jocks & Nerds] collection, I was in Paris and we were looking at some of the ghettos of Paris and watching kids play basketball … it’s good to look at things from the street level. What made you first launch THE UPSIDE? The evolution really was, I’ve sold Tigerlily [Meares’ bikini brand, sold to Billabong in 2007], I’ve taken some time out, I’m spending a huge amount of time in New York and this phenomenon happens … For me, it started with that one Lululemon Black Legging and it’s what I was wearing at the time and then I was kind of looking for other things because it became such an important part of my wardrobe and just seeing it on the street, it was so there … It just felt so obvious, the gap in the space, that it was like, “You just have to do this. This is such an obvious need” and then, the timing was really perfect. With so many activewear brands, how do you set yours apart? We try to stay very true to the philosophies of the brand. I mean there is so much scope in this area: we’re going to launch new categories, which I can’t give away, I wish I could, but because it opened this huge spot, it’s really a lifestyle business. What did you learn from your experience with your label, Tigerlily? I’m much more involved in the business now. I think I was very nervous of that with Tigerlily because I had no experience in it … I understand what we need to do, but with Tigerlily I was very nervous and I don’t think that’s a good place to be in business … I had to learn the hard way a lot of times with Tigerlily, [I] really made some big mistakes. Did you always plan to go into fashion and have your own company? I did. Tigerlily was an absolute dream. I didn’t know that I would have any success in it … but I am absolutely a bikini nerd, it was my first love … I had an education in that business anyway, I knew pretty much every surf retailer in the country and that’s where Tigerlily started. If you hadn’t gone down that path, what would you have done? I don’t know … I probably would have been a yoga teacher I think … I still might be one day! Congratulations on your marriage to [photographer] Nicholas Tsindos. Thank you, yes. It was very unexpected, but very wonderful. He has got so many wonderful qualities, but he is incredibly kind and for me kindness is probably at the top of my list. Your husband often shoots campaigns for THE UPSIDE. What is your advice for mixing business and pleasure? We get along so well. We’re really great mates, so it’s really nice if you go home and talk to somebody credibly, because I really love my work. I’m a chatterbox. It fully drives Nicholas mad sometimes, but it’s really easy because he has got such a great eye … He is already so close to the creative, he is my husband anyway, so by the time we get to shoot he knows what we’re trying to do. In the end, it’s about relationships, so probably my relationships with my family and my friends. What do you think really helped you to grow your commercial ventures? I think the timing was really, really good; and the right team. What’s the vision for the brand? Ultimately, I have a huge vision for the brand and outside of apparel, completely; I can’t divulge any of it just yet. I love yoga, I’m a yogi, and I love to walk and I love to paddleboard when I’m in Hawaii. But really, I’m not a gym person; it feels like going to the office … Some weeks I do yoga every day and sometimes, at the end of a long day, the answer is yoga and some days at the end of the day the answer is a bottle of wine! Yoga. I think I’m a nicer person, a better boss, probably a better wife, a better friend, better sister when I’m practising yoga, that also makes a difference … I think even if you’re not going there for spiritual reasons, [spirituality] … will happen anyway. I don’t really think in terms of that, I probably should more. I do try to actively stay present in what I’m doing … There is that old saying that if you live in the past you’ll be depressed, if you live in the future [you’ll be] anxious, and if you live in the now you’ll be peaceful and I think that’s true, so I don’t really think about it too much. Jodhi wore Celine pants, JBrand top and Chloe shoes. Remember when workout gear used to comprise of old t-shirts and leggings? Not anymore! If you’re after a little fitness fashion inspiration look no further than the world’s top models. They really know how to bring their style game when it comes to exercise gear. If you’re looking for a little motivation to help you get out there and work up a sweat, maybe a cute new outfit will do the trick? There’s certainly plenty to choose from.